Wiltshire can be found in the south of England, approximately 90 minutes from London. Our county is bordered by Hampshire, Somerset, Dorset, Oxfordshire and Gloucestershire and we are within easy reach of the south coast and many of the south’s airports. Predominantly a rural county, the largest town in the county in terms of population is Swindon and the largest (and only) city is Salisbury. Wiltshire’s county town is Trowbridge, in the west of the county. • The Cotswolds – taking in Castle Combe, Sherston and Slaughterford. • The North Wessex Downs – including Avebury. • Cranborne Chase and the West Wiltshire Downs – featuring Tisbury, Mere and villages within the Nadder and Ebble valleys. There is also a small area of the New Forest National Park which encompasses Wiltshire including the villages of Nomansland and Landford. One of the most iconic sites of the British Isles, Stonehenge can be found in Wiltshire, approximately 10 miles north of Salisbury. Stonehenge, its surrounding monuments and archaeological features and Avebury with the avenue, Silbury Hill and West Kennet Long Barrow can all be found in the UNESCO World Heritage Site. Another of the area’s iconic landmarks is Salisbury Cathedral. With its spire standing at 123 metres, it dominates the city’s skyline. Look out for the White Horses and other chalk carvings across the county. These landmarks were often carved as a sign of prosperity or, in the case of the Fovant Badges, as a mark to the area’s strong military connections. Plus the Bulford Kiwi on Beacon Hill near Salisbury Plain which remains a mystery but is supposedly from New Zealand troops in World War One. Friendly, relaxed and welcoming, each of our historic towns and villages has something unique to offer. Browse the stylish boutiques of Marlborough, shop in the colourful markets of Devizes or eat out in one of Bradford on Avon’s tempting pubs and restaurants. Although there is plenty to see and do in Wiltshire the Cotswolds, Hampshire Borders & Bath and Somerset are a fantastic place to explore close by. Looking to visit the amazing town of Ludgershall?...If so, click here to get the latest Ludgershall tourist information direct from the official Wiltshire tourism site! Looking to visit the amazing town of Chippenham?...If so, click here to get the latest Chippenham tourist information direct from the official Wiltshire tourism site! Looking to visit the amazing town of Marlborough?...If so, click here to get the latest Marlborough tourist information direct from the official Wiltshire tourism site! Looking to visit the amazing town of Tidworth?...If so, click here to get the latest Tidworth tourist information direct from the official Wiltshire tourism site! Highworth is an ancient hill top market town situated on the edge of the Cotswold's only four miles from the River Thames and close to Swindon. Being John Betjeman's favourite country town it is an ideal base for touring the area. Looking to visit the amazing town of Malmesbury?...If so, click here to get the latest Malmesbury tourist information direct from the official Wiltshire tourism site! Looking to visit the amazing town of Corsham?...If so, click here to get the latest Corsham tourist information direct from the official Wiltshire tourism site! Looking to visit the amazing town of Melksham?...If so, click here to get the latest Melksham tourist information direct from the official Wiltshire tourism site! Trowbridge is the county town of Wiltshire and is proud to offer a wealth of services to the region and its visitors. The town’s rich industrial heritage means that it has much for those interested in its history. Looking to visit the amazing town of Pewsey?...If so, click here to get the latest Pewsey tourist information direct from the official Wiltshire tourism site! Known as the city in the countryside, Salisbury has it all: historic streets and alleyways, charming half-timbered buildings, traditional English eating houses and characterful shopping streets, not to mention a superb range of attractions. Looking to visit the amazing town of Amesbury?...If so, click here to get the latest Amesbury tourist information direct from the official Wiltshire tourism site! 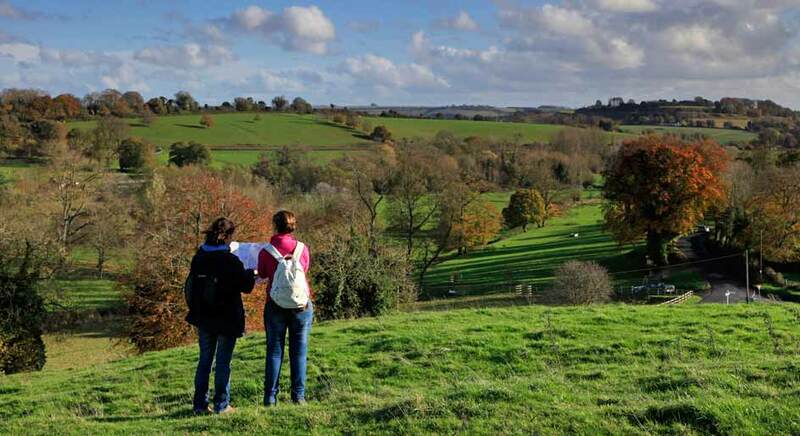 Looking to visit the amazing town of Wilton?...If so, click here to get the latest Wilton tourist information direct from the official Wiltshire tourism site! Looking to visit the amazing town of Tisbury?...If so, click here to get the latest Tisbury tourist information direct from the official Wiltshire tourism site! Looking to visit the amazing town of Warminster?...If so, click here to get the latest Warminster tourist information direct from the official Wiltshire tourism site!